Daniella Kahane is a Peabody award-winning filmmaker and content creator/producer for companies such as Chevrolet, Honda, and HBO. Her films have played at top film festivals including Sundance, Tribeca, Toronto, Telluride, SXSW, and others. Ms. Kahane has been passionate about female empowerment since her very first documentary which explored the relevance of all-women's colleges today. Ms. Kahane founded an event consulting and planning group, Sensi6, which emerged out of the desire to create charity events that targeted a younger generation of givers. She has since produced events that have raised over one million dollars for organizations in need. Ms. Kahane graduated from Barnard College, Columbia University and School of the Arts, Columbia University. She is the recipient of the HBO Young Producer’s Award and was first runner up for the prestigious Producers Guild of America Award. Beth Fisher-Yoshida is the Academic Director of the Negotiation and Conflict Resolution program. Dr. Fisher-Yoshida teaches classes in negotiation, conflict resolution, and conflict analysis. She is Co-Executive Director of the Advanced Consortium on Cooperation, Conflict and Complexity (AC4) and Director of the Youth, Peace and Security (YPS) program, both housed in the Earth Institute at Columbia University. In her role at YPS she has been working to develop systemic approaches to building more effective communities through youth leadership in Medellín, Colombia, using a Social Lab approach. Dr. Fisher-Yoshida partners with clients to develop customized interventions aimed at improving organizational performance. She is able to blend the best of both worlds: the knowledge from academia with effective practices to apply successfully to real life situations. Her firm, Fisher Yoshida International, focuses on leading organizations through change by improving communication and creating shared goals and practices to align with the organization’s mission and vision. She received her Ph.D. in Human and Organizational Systems and M.A. in Organization Development from Fielding Graduate University in Santa Barbara, California. She received her M.A., with honors, from Teachers College, Columbia University. She received both a B.A. and a B.S. from Buffalo State College. Dr. Fisher-Yoshida is also a Certified Clinical Sociologist (CCS). Jack Simony is the Chairman of The Negotiation Institute (TNI). For over fifty years TNI has been a leading provider of executive skills training dedicated to building collaborative leaders, high performing teams, and optimizing organizational effectiveness within companies worldwide. Under his leadership, TNI has hosted award-winning conferences, including the WIN Summit and The Art of Negotiation for Real Estate. Mr. Simony serves as a Trustee for the Washington Institute for Near East Policy and held a three year term as the UN representative for Human Rights Advocates International. Additionally, Mr. Simony is currently a senior advisor for the Ashcroft Law Firm. 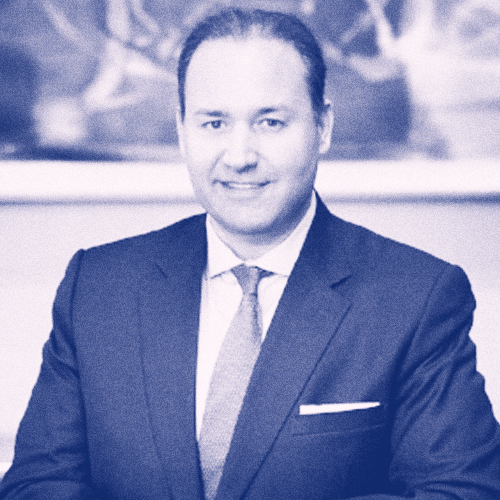 Mr. Simony holds an MBA from Hautes Études Commerciales de Paris, graduated with a DFS from Oxford University’s Saïd Business School and a B.A from the City University of New York.